Once thought of as a temporary solution while businesses hunted for the perfect office space, top businesses are now preferring the finesse that comes with renting a serviced office. This is much better than the enterprise wide effort that goes into setting up a permanent company headquarters. From luxury surroundings to top quality interiors that based in some of the most prestigious areas of London, it’s easy to see why serviced offices are on the rise. With the London business scene constantly evolving, it’s hard to keep up with where the new up and coming areas are. By using serviced offices, you can be a flexible business and easily move with the times from area to area to be the first on the new trendy hot spots. Most business owners know how expensive updating systems and facilities can be. From the cost of computers and laptops to photo copiers and printers, it can soon add up, proving to be a very expensive process. Using serviced offices, like the ones from the London Executive Offices , means that you’re guaranteed access to the latest systems and technology – instantly making your business more efficient. From top of the range air conditioning to fully functioning meeting rooms with video conferencing facilities and food and drink staff available on hand, the amazing facilities alone make choosing serviced offices a no-brainer. When you own and manage your own office building, overhead can get costly. The same is true of a business car. However, with serviced offices you can benefit from pay-as-you-use services. You will only every pay for what you need. No more, no less. This is a huge advantage when it comes to keeping costs down. Whether you need a conference room for an hour each week or three hours once a month, that is all you will be responsible to pay for. Obviously, business owners who care about their bottom line would love to take advantage of pay-as-you-go services. Depending on the type of clients or customer you have, using serviced offices is a great way to impress. With offices in a number of amazing buildings across London, the location alone is sure to do just that. Whether you’re a new an innovative business wanting a modern interior to reflect the ethos of your company or an established luxury brand looking for grandeur and splendor, there’s sure to be the perfect service office for you. 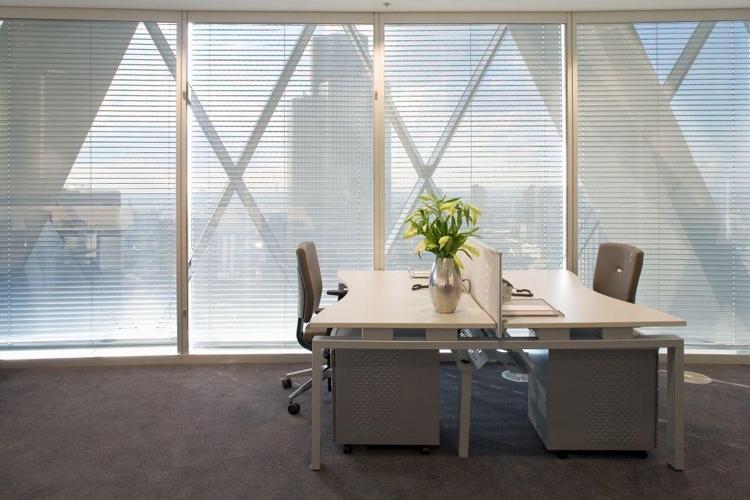 Not having to worry about costly office design is an enticing advantage of serviced offices. Investing in real estate for your business offices is a huge time and financial commitment. Serviced offices also help business owners afford the ability to try out different geographical markets. Without the weight of a long-term investment weighing you down, you can try out a few locations before you determine which would be best for your business. You can actually see for sure which area you business performs better in. This is a considerable advantage that you may want to consider when determining whether a serviced office is the solution for you. With rent prices on permanent office space continuously rising and contracts of up to 3 years minimum, choosing serviced offices now makes more sense than ever before. Certainly, you can lower your business costs with serviced offices. Take your business in the right direction by switching to using them today.